Kiss Faces & Logo Black Cotton Zippered Tote Bag. 100% Cotton, Features a zip top closure to protect your valuables, measures 15" x 15" x 4". Hand wash suggested. 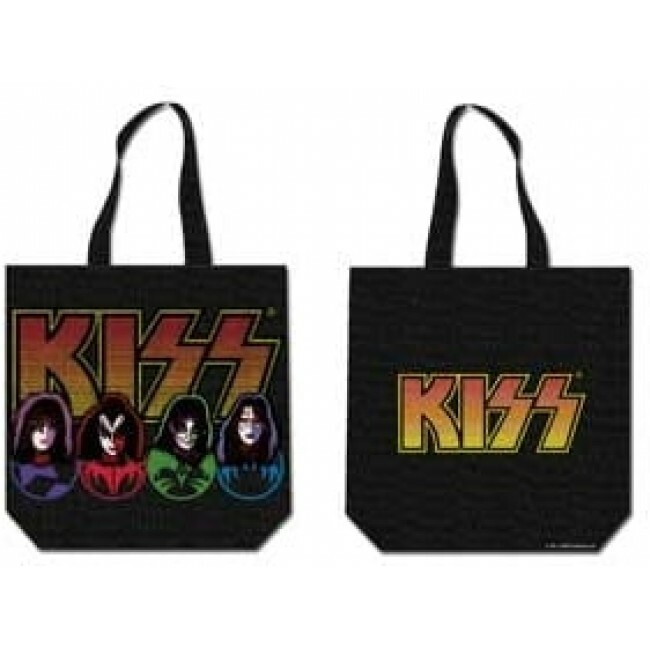 For those Crazy Crazy Nights, store your stuff in the Kiss Faces & Logo Black Cotton Zippered Tote Bag. Perfect for traveling to Detroit Rock City. 100% Cotton, features a zip top closure to protect your valuables, Measures 15" x 15" x 4". Hand wash suggested.